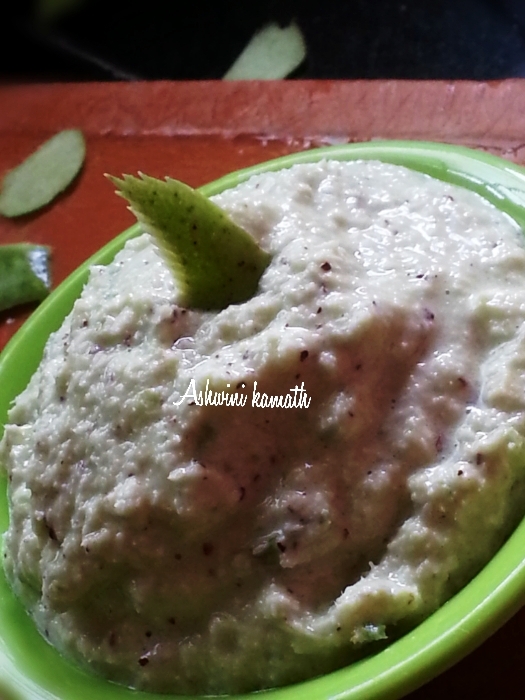 This is a filling yummy breakfast recipe …super soft and tasty ,try this with chutney ..
▪soak phova for 2 hours seperatley with enough water then drain water and grind all together to idli batter consistency. 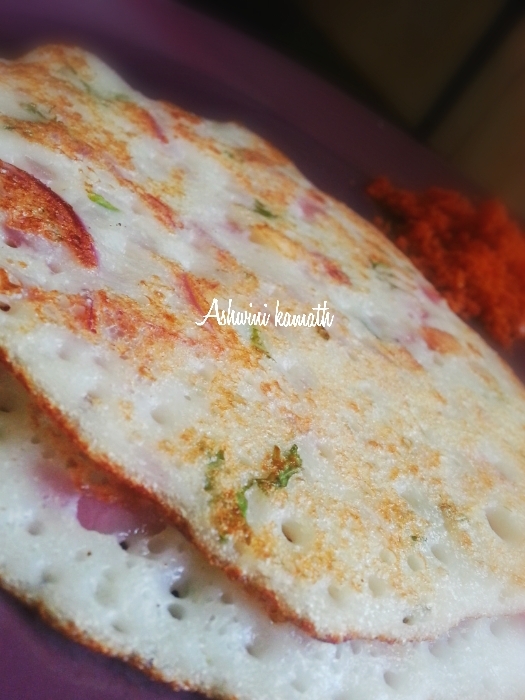 ▪At the time of making dosa add salt, onion & coriander leaves chopped mix all well. ▪ in a small pan prepare a seasoning of oil when heated add onions chopped, add crushed garlic and fry till golden in colour. 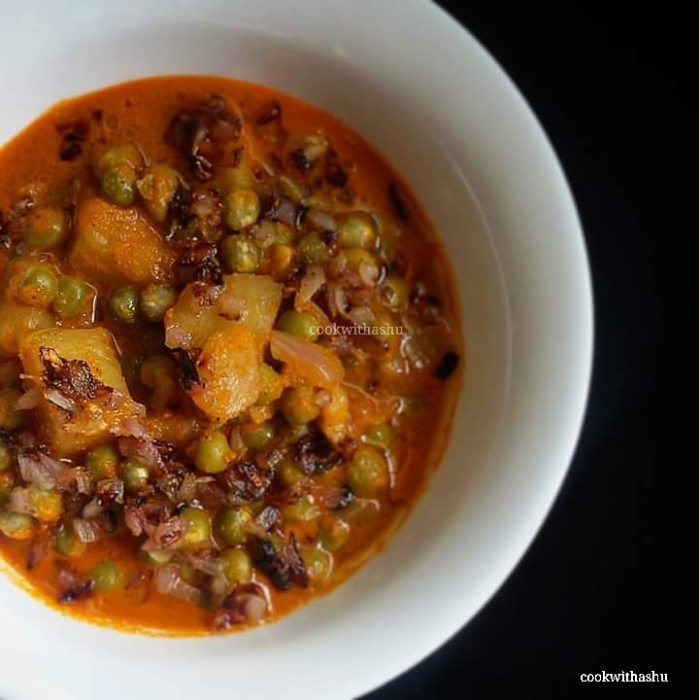 *other vegetables like green piegon peas,riged gourd,palak,manglore spinach, can be used..
▪Now in a mixer add coconut, greenchilles, salt and grind this to a paste then add raw mango ,garlic and grind twice..
▪ your chutney is done..
All can prepare this konkani dal but taste and texture always varry from eachone, even though same recipe is followed with exact measrements,they say na practice makes man perfect its like that in making this dalitoy 😀 ……but i can say no one can ever compete konkanis in making this dal like they make…. ▪when cooled open lid and mash dal with a laddle or masher, add salt little water if it is too thick or as required ,boil well. 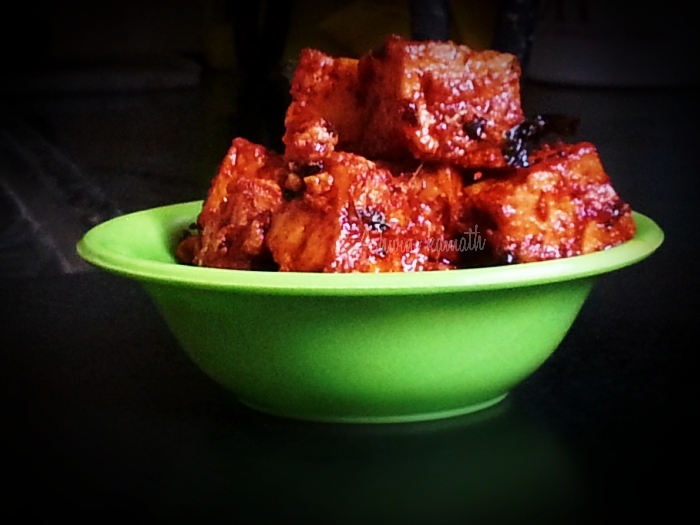 ▪ add paneer cubes fry well add jeera powder, garammasala, curds, salt nd fry on high flame then atlast add kasurimeti mix and serve. * for the same recipe you can use boiled potatoes also.. 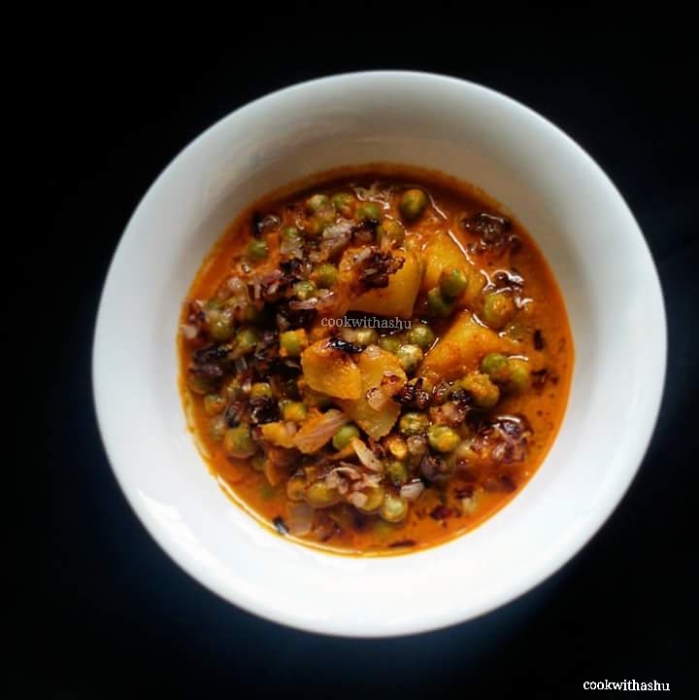 This is a easy and quick breakfast recipe or this usli is prepared during festive time because in this there is no use of onion or garlic even rice or rice item is not used, its a satvik food, this can even taken on fasting days also. ▪Soak greengram for 4-5 hrs then remove its water and tie this gram in a muslin cloth overnight and leave. ▪next morning you can see sprouts out of this . 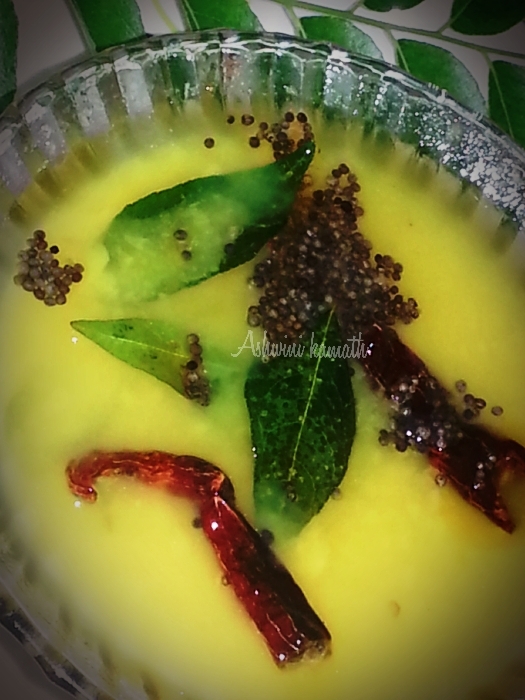 ▪ put this in a vessel and boil till soft or pressure cook for two whistles. ▪When cooled remove water and use the boiled grams. 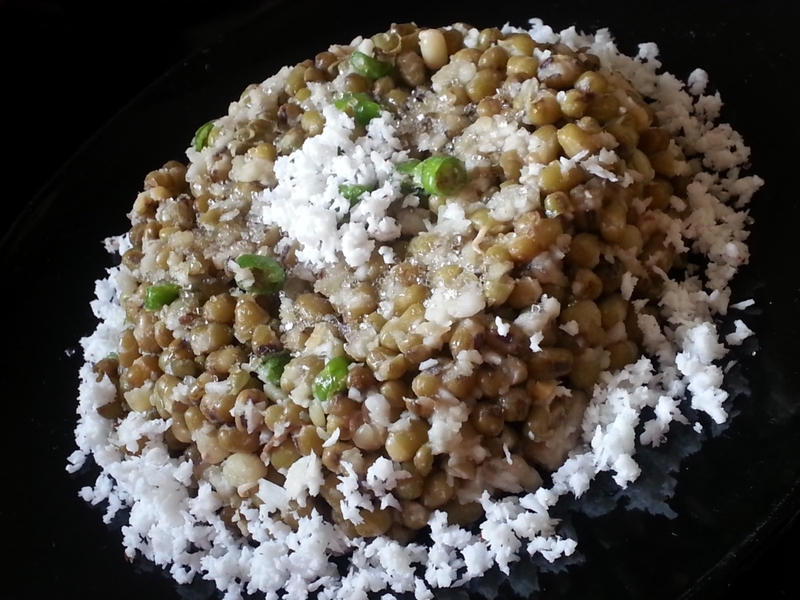 ▪To this add grated coconut, greenchilles, ginger,salt, and sugar mix it and enjoy this simple usli..
*the water drained from boiled green gram can be used for making rasam out of it by giving a seasoning of garlic and red chillies boil well and enjoy with steamed rice.. 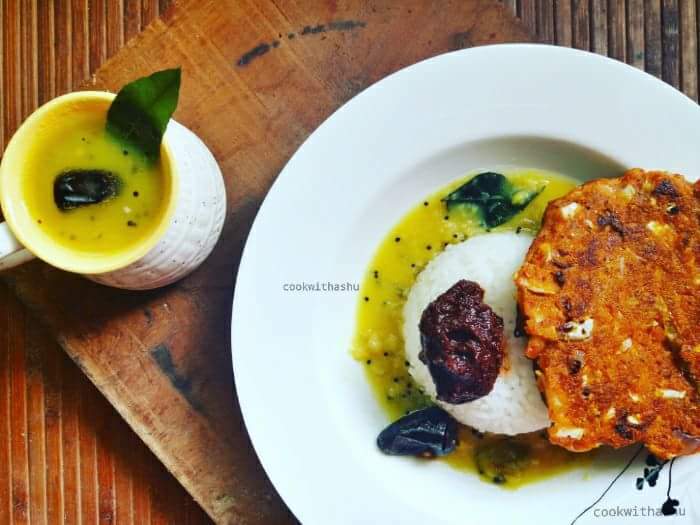 This is a starter dish or even can be used for sides with rice..
▪Grind 1onion curryleaves, greenchilles, pudina, coriander leaves, ginger, garlic, turmeric, salt, pepper, garammasala, curds, cornflour, lime juice, grind to paste then add to chicken and keep 1/2-1 hour for marination…. 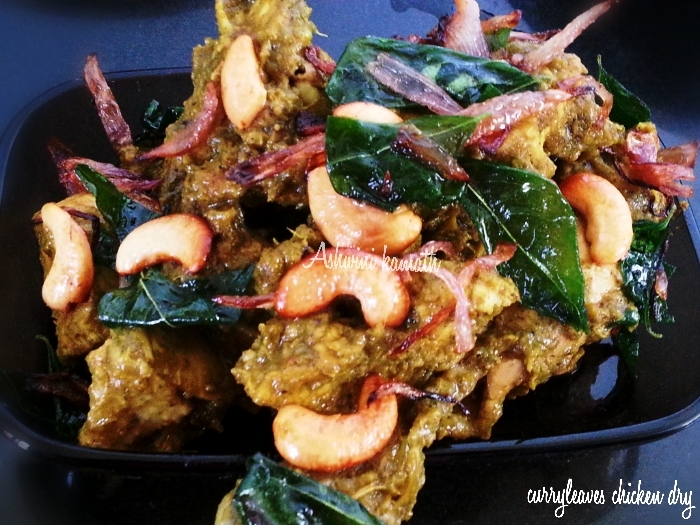 ▪Now in the same kadai add the marinated chicken cook till chicken is cooked then fry on high flame till dry then garnish with above onion mixture and mix and your curry leaves chicken dry is ready..